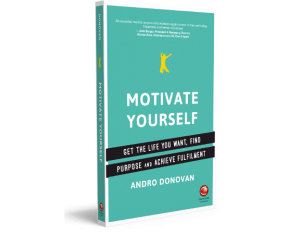 Andro is a globally sought after facilitator, speaker and author of Motivate Yourself – get the life you want, find purpose and achieve fulfilment. She specializes in coaching high-performing CEOs, entrepreneurs and individuals who want to become more effective leaders or want more meaning and purpose in their lives. She combines her experience as a management consultant and facilitator with her natural insight and affinity with all types of people to help her clients gain greater influence, effectiveness and perspective. Andro is known for creating safe environments where deep personal transformation can happen individually and in collaboration. She has worked extensively with cross-cultural groups on a global level. She is best known for her life-changing fulfilment retreats. From her background of teaching English Literature to dis-engaged school students, and getting them to be inspired about their life and future, Andro went on to work in a management consulting practice for a number of years. After 15 years of working with blue chip companies in the city as a management consultant and witnessing many burnt-out CEOs, Andro set up her executive coaching practice.